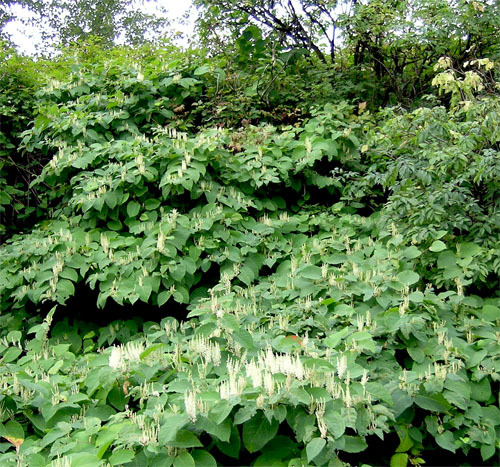 Japanese Knotweed is native to Japan and was introduced to North America as an ornamental and as landscape screening in the late 1800s. This species forms dense stands that shade and crowd out native vegetation causing a loss or alteration of wildlife habitat, especially along waterways. It can also sprout through asphalt and small cracks in concrete causing structural damage to foundations and roads. 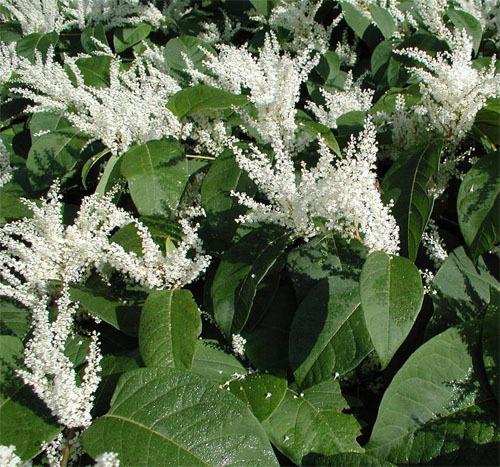 Japanese Knotweed has small white flowers that are 3-5 mm wide and clustered together in showy, often upright sprays along the branches. 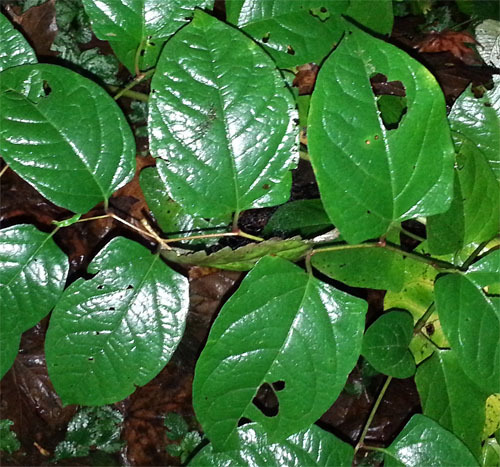 The leaves are egg-shaped or elliptic with have a distinct truncate base (edge of leaf closest to main stalk is perpendicular to the leaf stem) and grow up to 15 cm long and 10 cm wide. The undersides of leaves are covered in stiff, 0.2 mm long hairs. purple but turn green as they grow. The seeds are 2.5 mm long, triangular, and shiny. 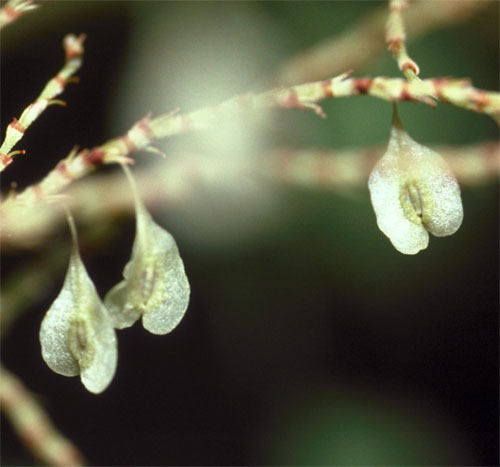 They are enclosed in a somewhat heart-shaped papery winged covering and are wind dispersed.